Today I have a really exciting post to share of literally the most gorgeous gorgeous jewellery pieces I have ever owned. Warren James were kind enough to send me a couple of samples from their Christmas selection so I will be showing you those and also looking at some cracking deals from their website. So first up let's take a look at what I got, I chose a pendant necklace and a bracelet which arrived in pretty giftboxes so you wouldn't even need to wrap them if you're a wrapping novice like me. The first item is the Sabrina Heart Necklace* made with Swarovski Elements which is £16 down from £85! There are a couple of colours to choose from but I opted for the rose pink as I just thought it was so pretty and would go well with a lot of my dresses which are often florals and pinks. Depending on the lighting the stone can look between a rose pink and a slightly darker more dusty pink and is surrounded by pretty little crystals. As you can see the chain is the perfect length for me and it looks so nice on with even just a plain tshirt like I'm wearing below. The second piece I chose is the Amelia Real Sterling Silver Diamonflash Cubic Zirconia Bracelet* £49 down from £150! This is such a unique design which has 10 centre piece stones all surrounded by crystals and they also do a matching necklace and earrings. The length is just perfect for my wrist and sits beautifully, it's such a statement piece and looks a lot more expensive than it is. I also want to share with you a few more top deals on their website at the moment, they are while stocks last so if you see something you like try and snap it up as soon as you can! 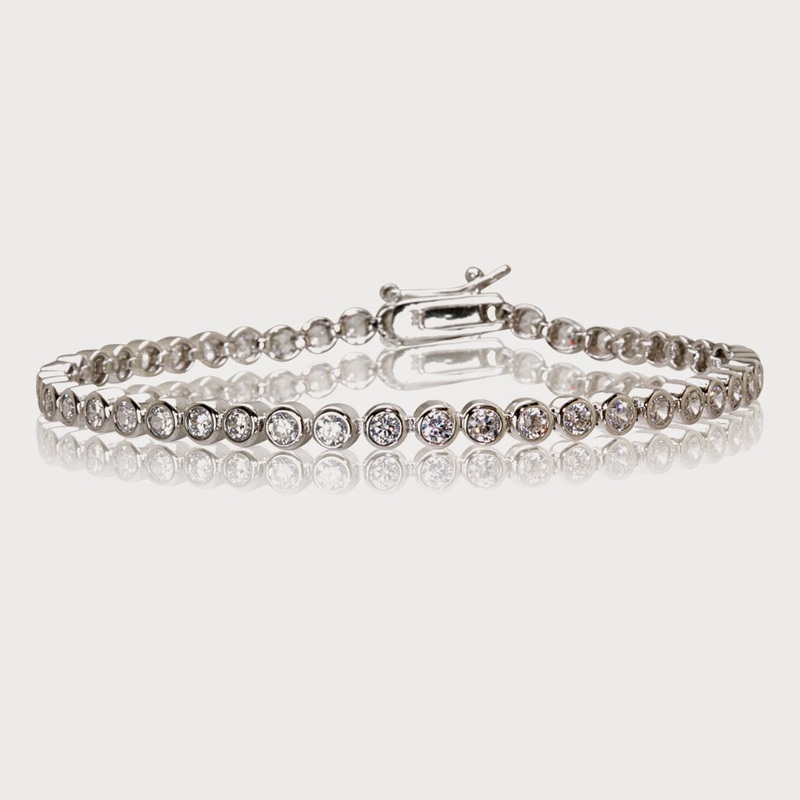 The Roweena Real Sterling Silver Diamonflash Cubic Zirconia Bracelet £33 down from £99! 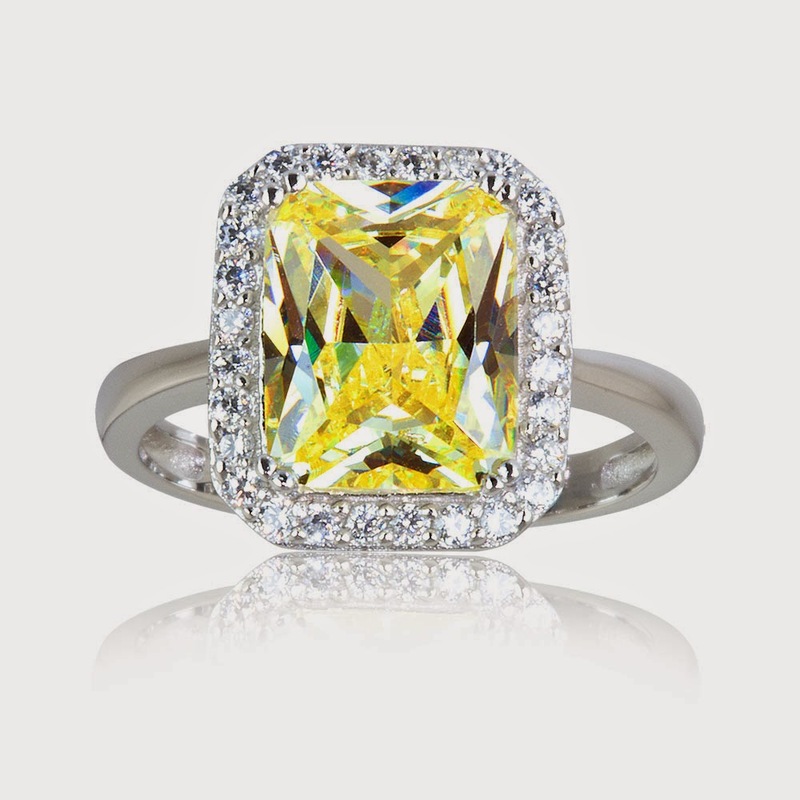 The Priscilla Real Sterling Silver Diamonflash Cubic Zirconia Ring £25 down from £85! 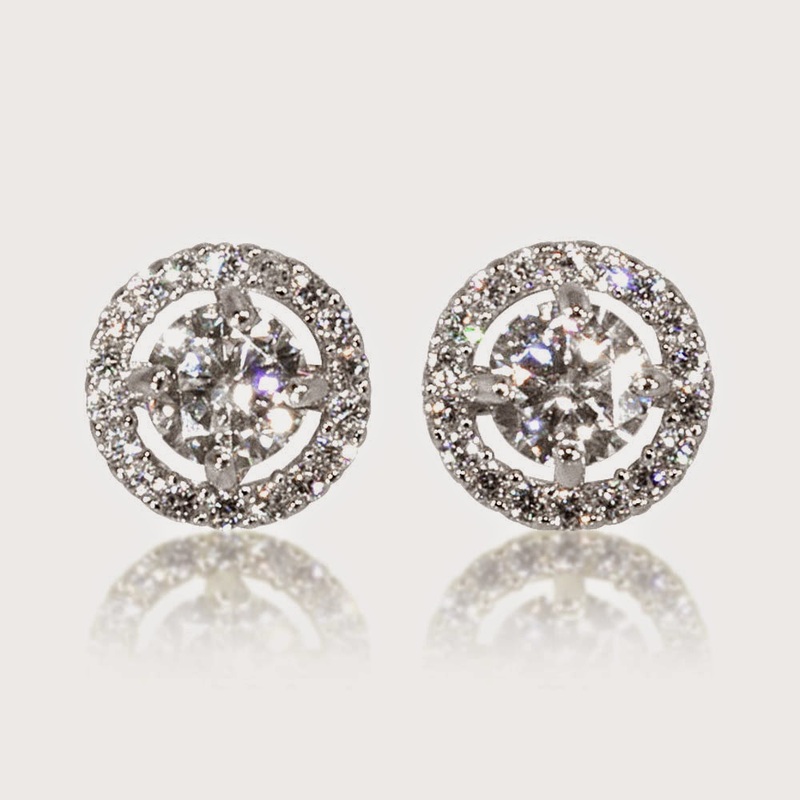 and finally the Amelia Real Sterling Silver Diamonflash Cubic Zirconia Stud Earrings £10 down from £32! If you would like to check out the wider range of deals you can see the full list on www.warrenjames.co.uk and those of you that are particularly savvy shoppers could even stock up on valentine's gifts which isn't too far away either! I'd highly recommend them, for treats for yourselves or gifts for other people, the quality is great and the prices are just fantastic! I hope you found this post helpful, let me know if you've bought anything from them this Xmas in the comments below (I'm nosey). I haven't bought anything from them yet but I am eyeing up those £10 earrings, they seem a complete bargain! Baker Days Letterbox Cake Review and Giveaway!